The Review: Is Final Fantasy VIII Really Bad? Some people might crucify me for saying this, but I believe Final Fantasy VIII is definitely one of the better Final Fantasy games overall. Sure, it isn’t the best one out there, and you might argue it’s the worst one on the PS1, but it’s definitely an extremely good game. 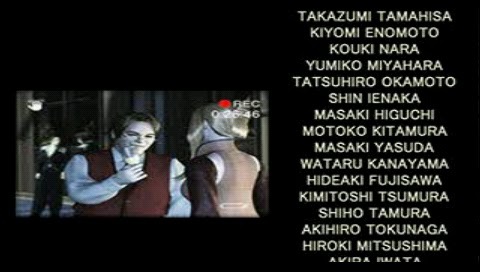 The junction mechanics of Final Fantasy VIII are complex and interesting. The way the various items synergize with the junction system makes the whole thing even deeper and more interesting. The GFs add to it even more, so overall, it’s an amazing package for everyone who loves playing JRPGs for the ability to make overpowered characters if you’re smart and persistent about it. There’s a lot of melancholy as the game nears the end, but it lands well. The story of Final Fantasy VIII is… different. That really is all you can say about it. The story is very different compared to the rest of the series around that time and before it. I’m guessing this is the main reason so many were turned off by it, but if you give the game a chance and keep an open mind, it really is a very enjoyable story. The ending leaves a lot of things open to interpretation, but it does so in a good way, unlike, for instance, the recent Mass Effect 3 ending fiasco. Emotions are quite well portrayed for the time the game was released in. The music is memorable and on par with any other in the series. 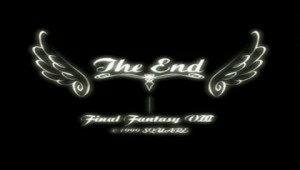 At this point, I’d still say that Final Fantasy IX has the best music overall, while Final Fantasy VII has the most memorable song (One-Winged Angel), but the music of Final Fantasy VIII is definitely very, very good. The only beef I have with Final Fantasy VIII, really, is the whole idea of monsters leveling as you level. No game should encourage you to run away from fights and avoid leveling at all costs. Sure, the game is beatable even if you don’t take care of not leveling to early, but for anyone who wants to feel powerful later, it just isn’t going to happen on the first play through without some serious grinding in the late game. The leveling thing is a major flaw, in my opinion, but as I said, it’s still an amazing game overall. It breaks some molds, does a lot of things differently and provides a great experience in spite of its flaws. In addition to this, the technological advancement it brings compared to Final Fantasy VII is alone enough to give it a chance. I didn’t realize the year was 1999. I thought it was earlier. Any fan of JRPGs should absolutely play this game.